By Ray Legendre on November 14, 2018 for Faculty, Law School News. Through the lens of the sharing economy, Davidson has continued to expand his scholarly focus on the relationship between technology, urban governance, and the law. 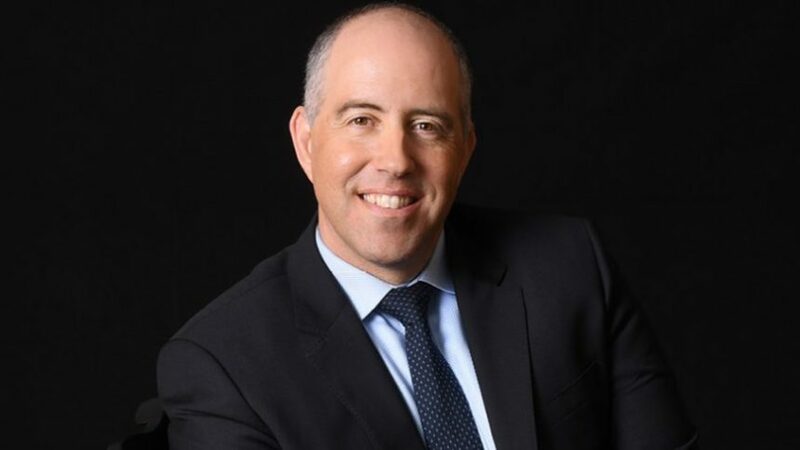 “The sharing economy not only raises questions about how cities are regulating and deploying technology but also leads to questions about consequences for data privacy, security, and intellectual property,” Davidson said, noting his engagement with these issues over the past five years made researching and writing about them feel like a natural progression. 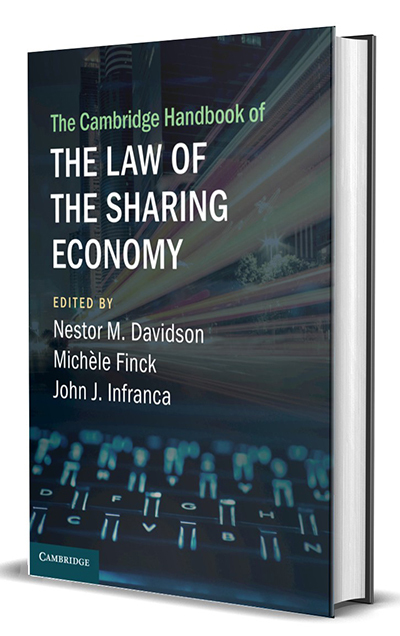 The idea for a sharing economy Cambridge Handbook originated from a collaboration between Davidson and Infranca in the 2016 Yale Law & Policy Review. Their article, “The Sharing Economy as an Urban Phenomenon,” prompted conversations with other scholars studying this developing field; a book proposal followed later that summer. Much of the project’s heavy lifting happened at the outset, Davidson noted, when he and his co-editors homed in on selecting the right themes and contributors to ensure the book’s success. Davidson has stayed busy in the past couple years with other writing and editing projects. He co-authored the casebook Property Law: Rules Policies and Practices (7th Edition), and is co-editor of Global Perspectives in Urban Law: The Legal Power of Cities, which Routledge is expected to publish in December. Davidson has also co-authored Affordable Housing and Public-Private Partnerships and Law Between Buildings: Emergent Global Perspectives in Urban Law (both published by Routledge). “These are all projects I find engaging, and it’s very helpful to have collaborators who share similar interests,” Davidson said of his prolific writing and editing schedule. His partners on these various projects help expand his knowledge and deliver quality scholarship to new audiences. Pre-order the book through the publisher’s site.